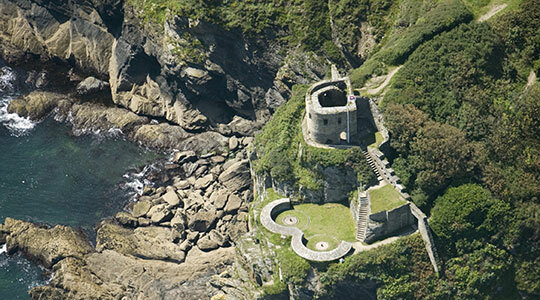 Tucked away on St Catherine’s Point, King Henry VIII’s defence castle is a Cornish gem. Steeped in history, it offers a chance to “step back in time” and let your imagination run wild. 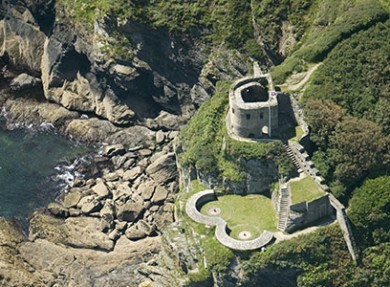 Originally built in the 1530s, St Catherine’s Castle has a prestigious past that stretches from Henry VIII’s split from the Catholic Church in Rome to the Second World War. Frequently called upon to defend England, it holds a special place in the hearts of the people of Fowey. Access is via a steep coastal path so this one is not for the faint hearted but the climb is well worth the effort. Entry to the site is free and a peaceful walk around the ruins is the perfect way to spend a summer’s evening. Following the coastal path back down to Readymoney Cove. Sheltered by the surrounding cliffs and in possession of a lovely bathing platform, this is a popular lunch spot for locals and tourists alike. Taking a moment to enjoy the view. With a wide vista arching from the English Channel around and up the River Fowey, it is easy to see how this landscape inspired authors such as Daphne du Maurier.